mwe3: The 2014 Sonar CD, Static Motion was released on the Cuneiform Records label. How did working with Cuneiform take shape and from a musical, compositional and recording perspective how would you compare Static Motion to the last Sonar album A Flaw Of Nature from 2012? 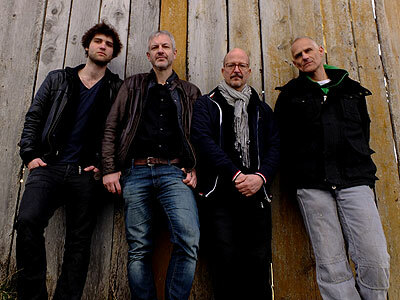 Stephan Thelen: Steve Feigenbaum, the head of Cuneiform records, wrote very enthusiastically about our first CD A Flaw of Nature on the Wayside web site, so I contacted him and asked him if he would be interested in releasing our next album on Cuneiform. Steve and all the wonderful people at Cuneiform have been very supportive in every way. They gave us total artistic freedom and only made a few suggestions how to improve certain things. I think Static Motion is a more colorful album than A Flaw of Nature, which was deliberately more austere and radical. mwe3: In the CD liner notes, you mentioned that Static Motion was recorded in Norway. How did that experience shape the sound of the album and who else was involved in the making of the album, sound wise all the way to the mixing / mastering and art design? Are you still happy with the lineup with Bernhard, Christian and Manuel and how has the Sonar sound grown over the past two years? Stephan Thelen: The landscape around the studio in Norway is completely stunning. I think you can hear the influence of the surroundings in the improvised, more ambient parts of the music, especially on the last track, Vertical Time. The sound engineer, Henning Svoren, had a very important influence on the sound and captured our performances beautifully. The mixing was done mainly by myself with a little help from Manuel (the drummer), but there was also one other engineer, Andi Pupato, who helped create the final sound of the album during the mastering process. Im very happy to work with Bernhard, Christian and Manuel, they are not only great musicians, but we also can talk about what we want to do in a very democratic way. The sound has evolved considerably over the last few years, somehow it has become heavier and clearer at the same time. 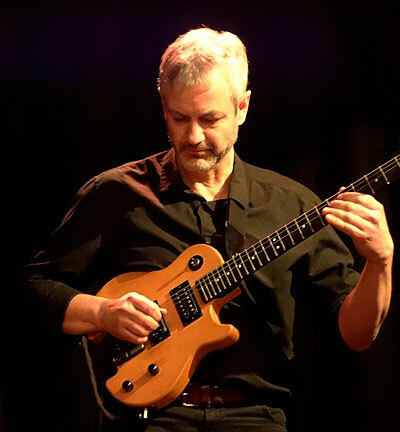 Stephan Thelen: We played three very memorable live gigs on the East Coast (Brooklyn, Washington D.C. and Baltimore) in October 2013. 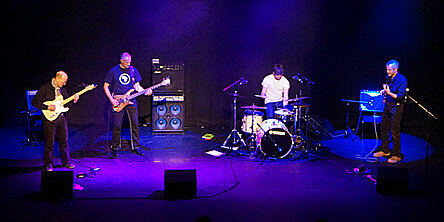 Besides those gigs, we had a remarkable gig in Manchester, England... the audience there was unbelievable. Sonar is mainly a live band. Our music is written in a way that it must be performed in front of an audience to really come alive and I think a lot of people are surprised how passionate the music can be in a live context. It can get very loud, but we can also play very quietly, we use the fullest possible dynamic range. We dont have a sound man yet, but that is certainly something we are looking into for the future. mwe3: You mentioned the title of Static Motion was influenced by poet Rainer Maria Rilke. 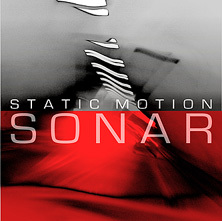 What is yours and the bands concept of static motion as it applies to this latest Sonar album? Also how does Sonar apply Robert Fripps famous quote about being very careful about the beginning, then be very careful about the middle and finally be very careful about the end of a piece of music? Do you still consider Fripp an influence on this latest Sonar album and what do you remember most about studying guitar with Robert Fripp? Stephan Thelen: Actually, the title Vertical Time is from Rilke, but for me it means the same thing as Static Motion. That term came from my wife, who once walked into my music room while I was playing that piece and said it sounded like something that moves forward and stands still at the same time, so it simultaneously inhabits two worlds, the timeless, eternal reality as well as the world of fading hearts, as Rilke says. Robert Fripp will always be a strong influence, not only musically. His comment is really the best piece of advice you can give to somebody who is trying to figure out the dramaturgy of a piece of music. Actually, what I remember most about the Guitar Craft seminars was how funny they were, but I would say they mainly made me realize what I wanted to do in life and in music but also what I didnt want to do. mwe3: In the Static Motion liner notes you also say that Mahavishnu Orchestra, ELP and the French band Shylock were also an influence on your music. It seems like the 1970s are still the benchmark for musical integrity on a lot of levels. Is that decade frozen in time so to speak? A shame a lot of music fans today didnt have the good fortune to experience the wonder of those years! I also remember how great, especially Shylock were. Light years ahead of most bands. Stephan Thelen: Its the music I grew up with. Music was really something magical then. So many people were creative, even if they hardly knew how to play. Today, musicians are technically much, much better, but I really miss the sense of adventure and mystery that was clearly there in the 70s. mwe3: Are there other influences from other artistic avenues, such as movies, painting or architecture, that inspire your music and composing? Who and what are your favorites from those other art forms and how do they affect you on a musical level? Stephan Thelen: Recently, I have been very fascinated by minimal art and minimal design. I like the idea of taking one good idea and expressing this idea as clearly and from as many different angles as possible. Id really like to be able to create a piece of music that has the same power, beauty and tragedy but also the same monolithic simplicity as a Mark Rothko painting. mwe3: Do you have special techniques that Sonar uses to capture and record your various guitar sounds? For instance, do you use certain effects to color the sound? Stephan Thelen; Our philosophy is to do everything without effects and technology. The only effect we use is a volume pedal and a Strymon Blue Sky reverb, all other things are done with ideas, playing techniques and pure dedication. mwe3: Is there a video for some of the tracks on the Static Motion CD and what is your opinion on pairing sound and vision and the possibility of a Sonar DVD in the future? What are your favorite Sonar related video clips and are there certain film makers you would like to work with in the future? Stephan Thelen; There is a video for the track Static Motion on YouTube and we will soon release two live videos taken at the CD release party here in Zürich, one of them with Markus Reuter on touch guitar. Were thinking about releasing the whole concert on a DVD, but that hasnt been decided yet. The live videos were done by Nordhang Film, the same company that produced the Static Motion video. We dont have any other film makers in mind at the moment, but we are very interested in any visuals that are related to what we do musically. mwe3: What plans do you have for Sonar moving into 2014 and even 2015? What other avenues are you planning to explore next both as a guitarist / composer and a performing musician? 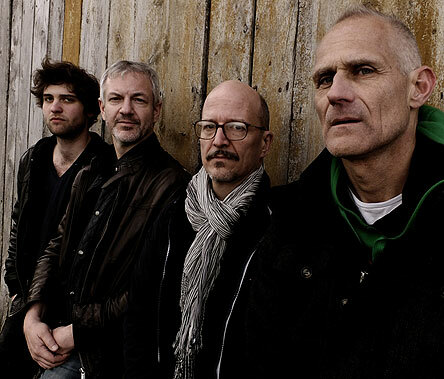 Stephan Thelen; 2014 will be about touring in Europe and rehearsing new material for our next album. I have written a lot of new pieces, some of them co-written by our drummer Manuel, that stay true to our original concept but also explore new harmonic and rhythmic possibilities. Hopefully, we will return to the US for a lot more concerts in 2015. At the moment, I am concentrating on Sonar, but I do also have other musical projects in mind, but its really too early to talk about them.